Spotted at Cactus Club Cafe in downtown. @Gnasher And needs to stop overusing the ellipsis. He needs to ease off the big paragraphs and over-detailing lol.....Urus looks great btw. @SimsBillionaire No Kenny, I never want to pretend that I know any of them, I am just talking about what I know. If this is real, then it's fine and I don't care. And why your comment wasn't there for a sec? Is it possible to hide a comment on this website? ***EDIT***: Does @SimsBillionaire delete his account? @WorcesterSpotter I didn't do that and I didn't ask anyone to remove that comment. I think he deleted it by himself. 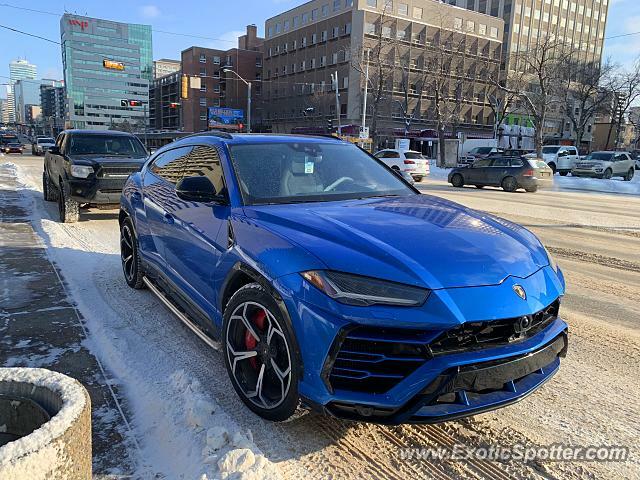 @Vancouvergay There was never a grey SV in Edmonton and currently there is no such car for sale at Lamborghini Vancouver. There was a Reventon for sale at SR Auto in 2016 but it was long gone. There are some people like that in Canada, like @mwvmnw in Vancouver, Fred Phillips/The Ockey brothers in Calgary and Miles Nadal in Toronto, but I never heard there is a guy like that in Edmonton. Why were the comments removed? No one said any personal info. Is all this cars located in Vancouver? @SimsBillionaire I am not sure if you're referring to the right guy. And let's not talk about this due to privacy concerns.